This transcription is intended to be sung with a choir. As such it has been held to the original key signature so the choir can use their own music. 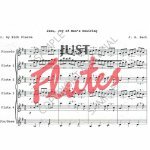 It's arranged for 1 piccolo, 4 C flutes, alto flute and bass flute. 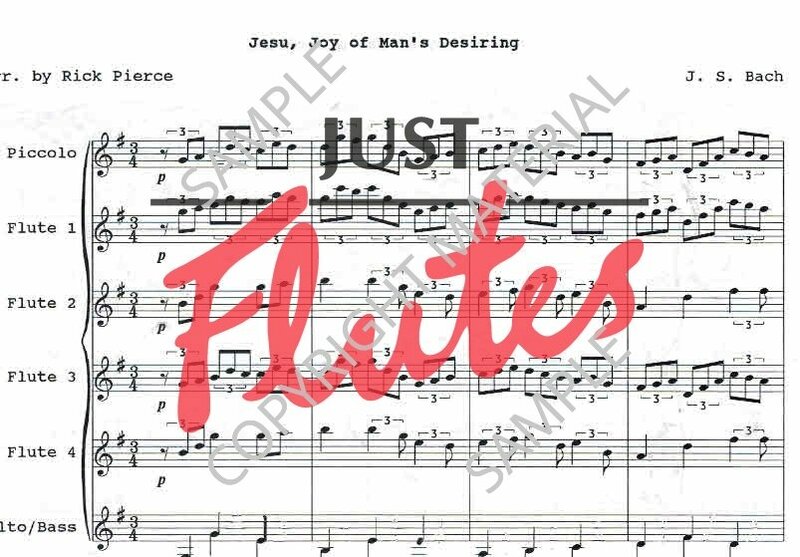 The alto and bass flute parts duplicate each other so much it is possible to perform this piece without a bass flute.